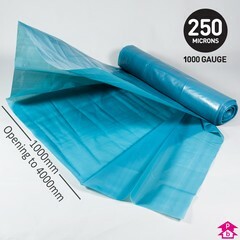 Get 20% off extremely thick (1000 gauge) heavy-duty polythene approved by the BBA (British Board of Agreement) for use as a damp proofing course. 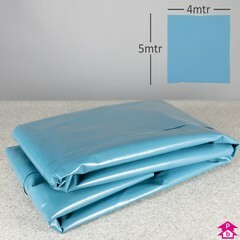 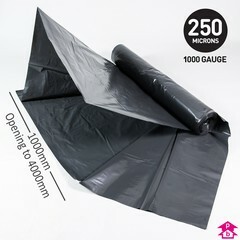 Made from recycled polythene and supplied in 4 metre wide sheets folded down on to a 1 metre wide roll. 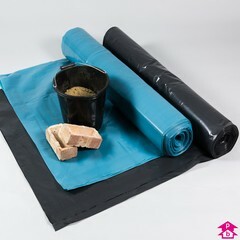 Available in black or blue, with with a Handypack option for covering smaller areas.